Consisting of Torchman, Waveman, Blademan, Bitman, Sharkman, and Oilman the Sinister Six are the robot masters from the game Megaman 3 PC. Tired of being overlooked they seek to prove their might by taking down the robot masters of the official Megaman 3 game and by stealing the name of the first Megaman team. The whole team is led by Torchman, more because of his insistence than anything else. Their powers are varied, but they are held back by their own incompetence. Nevertheless they're always trying to take down our heroes. A twisted, mutated, imperfect clone of Shadowman, Bizarro represents one of the Mechanical Maniacs' most powerful foes. A mess of conflicting technologies Bizarro posses all the the powers of the Megaman 3 robot masters as well as Borg shields and regenerative healing which render the 'Maniacs' natural abilities useless. In addition to that, Bizarro's Limited Armour also prevents him from ever truly dying. Ironically, for all his power Bizarro has a simple mind and wants to please anyone in authority. Without guidance Bizarro is relatively harmless. The mysterious priest. 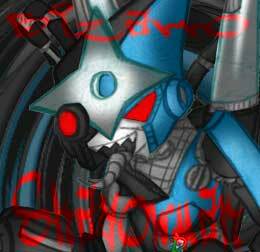 Xelloss is a powerful demon who follows the Mechanical Maniacs around, but doesn't actually do anything to help them. If anything, he hinders their progress! Nobody can say why he does this as he isn't even from the Megaman games. 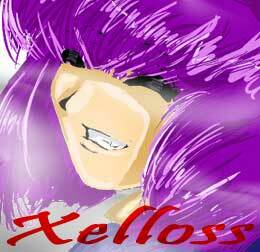 Xelloss is a powerful general under Beastmaster Zellass Matellium and is fiercely loyal to her. His good-natured appearance and friendly demeanour belie his dark and evil personality! What is he up to? Well, now ..... THAT is a SECRET! 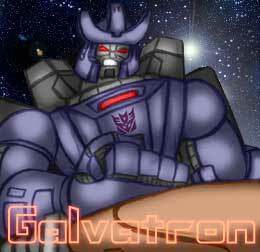 Galvatron is the disgraced leader of the Deceptions. He was banished to Earth for incompetent leadership and seeks to reclaim his glory. Bumping into the Mechanical Maniacs Galvatron quickly became an enemy. Galvatron was originally the Transformer Megatron, but was reformatted and upgraded by Unicron, the most powerful transformer ever. Galvatron can transform into a cannon and is extremely powerful .... and extremely insane. 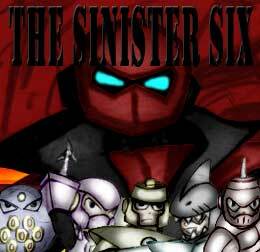 The Evil Eight are Wily's mostly loyal henchman. Their powers are made to match the Mechanical Maniacs. 2nd Leader of the Evil Eight. Part of Dr Wily's original four robot masters built to fight the Mechanical Maniacs. He was built from the strongest parts of Wily's robots from the first three rebellions however, due to his amazing strength his mind began to deteriorate and he ended up being replaced by the more superior Omniman. After Duo gave him the Evil Energy, Chimeraman became smarter and more powerful unleashing his true potential and creating the terrifying True Chimeraman. Chimeraman seeks power and wishes to become the strongest robot ever and crush the Mechanical Maniacs. He is ambitious and jealous of Omniman. The 2nd of the four robots made to fight the Mechanical Maniacs. He is an agile and powerful warrior, built to match the speed of Quickman and the skill of Shadowman. He is loyal to his teammates and master and sees Shadowman as his most worthy opponent and wishes to exceed him in battle. 1st Leader of the Evil Eight. Also part of Dr Wily's original four robot masters built to fight the Mechanical Maniacs. He was the first to be built thus making him leader but was the weakest of the team so Chimeraman replaced him. Spinman is arrogant and overconfident making him the more annoying member of the team. The 3rd of the four robots made to fight the Mechanical Maniacs. Designed with a large amount of firepower capable of destroying a small city. He dedicates his life into following Wily's orders and is very trigger-happy. Designed to aid the four original members of the Evil Eight. 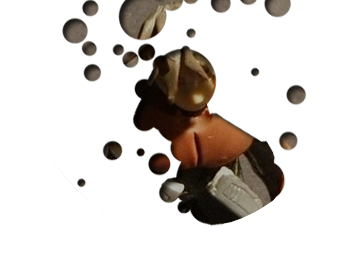 He specialises in close range combat and fights in a similar matter to Spinman. One of the weaker robot masters and his often paired up with Spinman to increase their power. He is the opposite of Spinman. He is cautious and negative as opposed to arrogant and overconfident. 3rd Leader of the Evil Eight. Dr Wily's most powerful creation, he was designed to be the ultimate warrior capable of withstanding every attack the Mechanical Maniacs could use. After Duo gave him some of the Evil Energy he was capable of withstanding every attack possible and controlling the elements. Among all of Wily's creations he is the most loyal warrior and fights with honour to protect his lord at all costs. One of Duo's generals. He specialises in strategy and battle skills. Considered a match for Geminiman. The most intelligent of the Evil Eight and also one of the more powerful members. He hasn't got as much weaponry as Warman but he uses his firepower efficiently than him. Rivals himself against Geminiman because of a rather humiliating defeat against him when he was Grenademan. Another one of Duo's generals. Specialises in power and defence. Created as a Golem but was given armour to increase his strength and protect him from any weaknesses. Because of all the power he has no brainpower what so ever and can barely speak a whole sentence properly. He is the dumbest member of the Evil Eight. The 'Maniacs have faced a vast amount of other foes over and over again including Megaman's arch nemesis Doctor Wily, the evil villain from the future Sigma, the pompous Megaman Juno, the evil duplicate Gemini Red, and the multi powered villain Doc Robot.